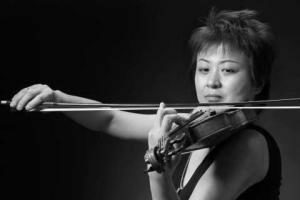 A renowned violinist of China, Vera Tsu Wei-Ling is Professor and Master Tutor of the Central Conservatory in Beijing and Shanghai Conservatory. She is a jury member of many prestigious competitions worldwide. Born in Shanghai, Tsu began studying at the Central Conservatory in Beijing in 1977, as a part of the first-generation of college students after the Cultural Revolution. During the distinguished international violin master Isaac Stern’s the first visit to China in 1979, as a sophomore, Tsu performed for Mr. Stern and was featured in the overwhelming Oscar-winning documentary From Mao to Mozart: Isaac Stern in China. Tsu went to the USA in 1980, where she continued her study with Dorothy DeLay and Rafael Bronstein. From November 2000, Tsu was appointed the professor of violin of the Central Conservatory in Beijing. In September 2014, she was appointed Professor of Violin of Shanghai Conservatory. Ms. Tsu has given master classes in the U.S, Argentina, Japan, Taiwan, Hong Kong and throughout mainland China. At the same time she maintains an active career as both a soloist and a chamber musician on music stages in China and abroad.